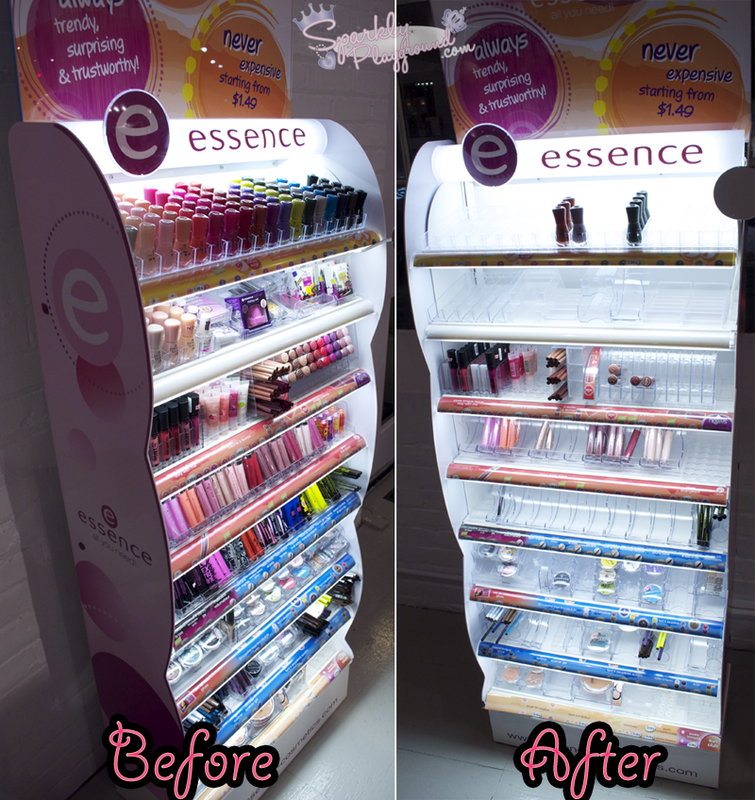 Wow, I can't believe it's already been a year since essence launched in Canada. I still remember playing on their swing at last year's event. 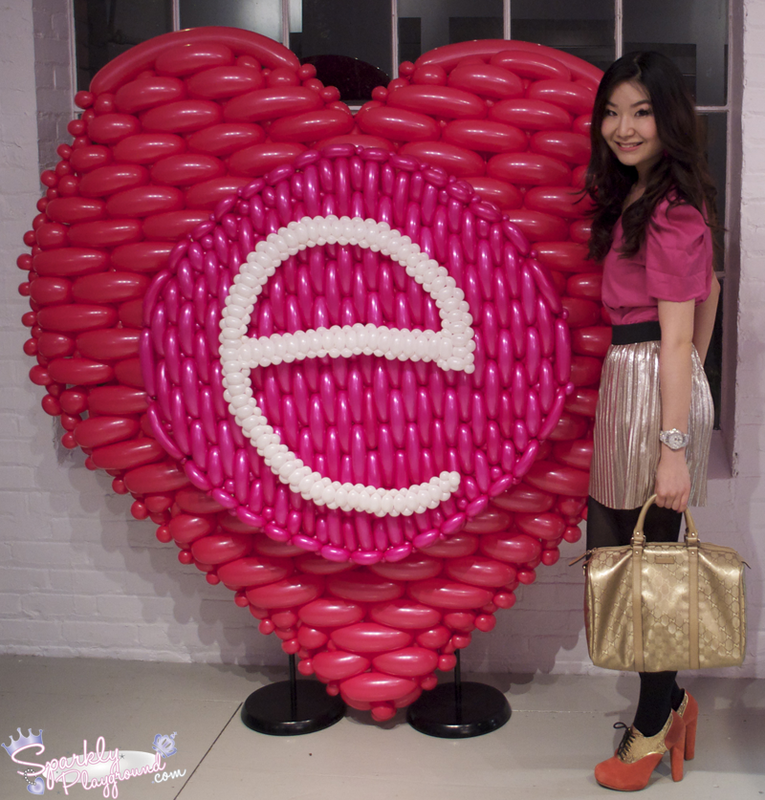 This event was to celebrate essence's successful first year in Canada and their 2013 new products. Just in case you're unfamiliar with the brand, they are sold exclusively at Shoppers Drug Mart and a hit for their affordable prices. The brand is from Europe! 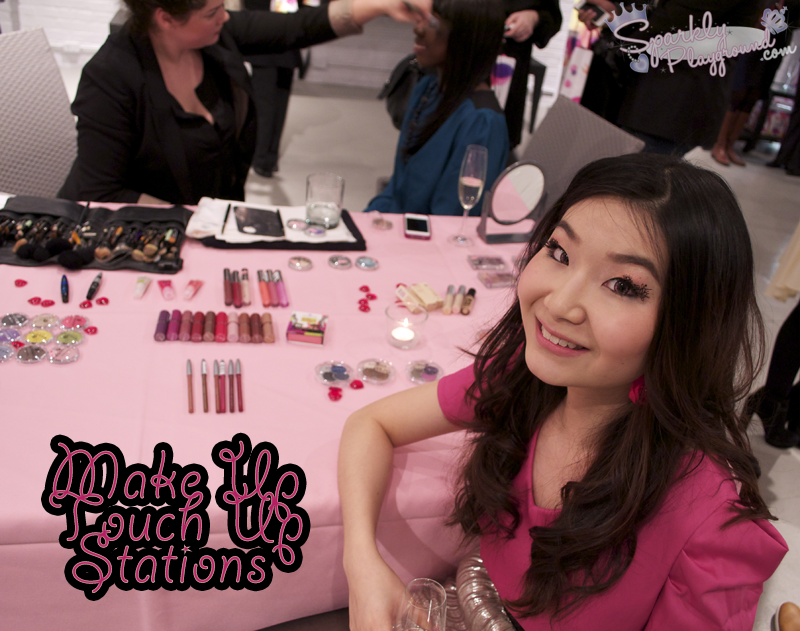 This year, the event was held at ARD Showroom, a much larger space to accommodate more people and fun stations! There were cute decors everywhere, you shall see more in this post! More foodies come around here and there, super cute and girly - it was just filled with happiness! This event is soooo me!!!! I wonder where they got this, I would love to have something like this at my future wedding! 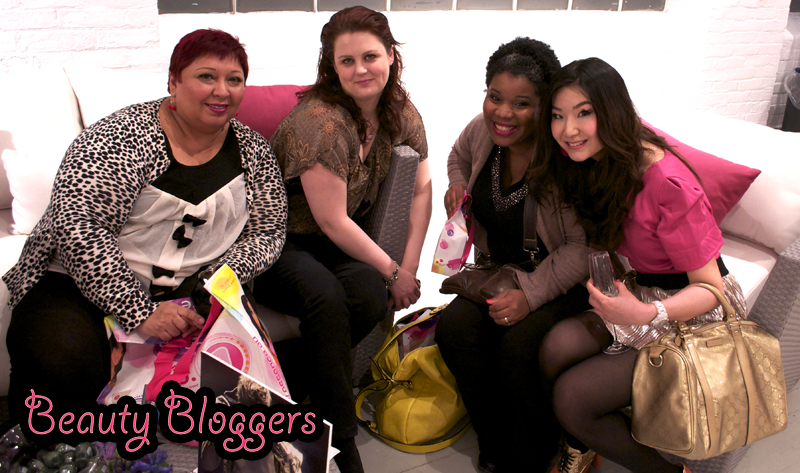 Always nice to see fellow beauty bloggers! Ande, Jill, Naomi and yours truly! There are tons of new colours being added and also new products out in stores! I will be reviewing them really soon. Ps, I post my FOTD on my next post! 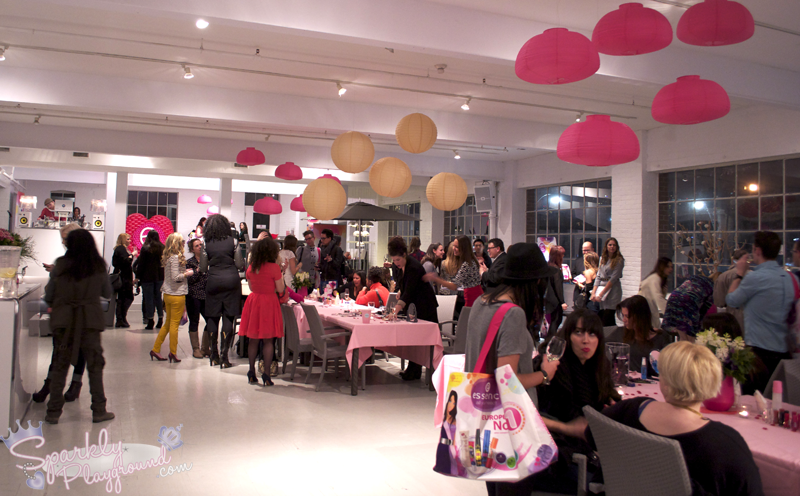 My lashes were such a hit at the event, every person I bumped into started talking about them! essence came out with tons of nail art stuff! It's perfect for nail art junkies like myself! I have a few products from their new launch to try out! Everyone yaking away! There was also a lip reading lady which tells your fortune! It's pretty awesome but it seems like she was so busy the entire night so I didn't get my chance for a little chat! I also got to reconnect with Howard from essence and met Humphrey who just joined the company! 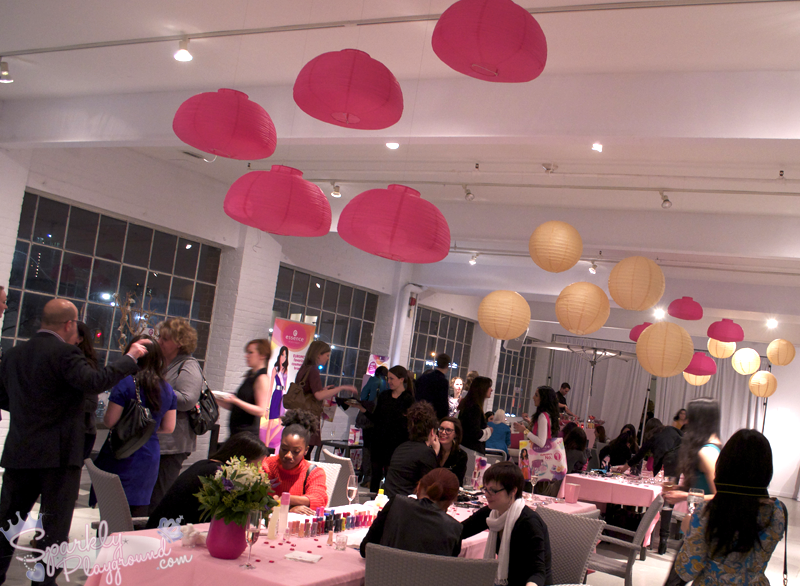 During the event, there were products everywhere for you to pick up to take home. It was like an essence buffet, we were even provided bags to ease the process this time around!!! Faulbaher PRs were restocking every minute and items were just being taken every second! Since you guys love reviews and GIVEAWAYS, I surely will not disappoint! I already gathered the giveaway items, I hope you guys like it!! So make sure to follow my blog, twitter, fb, instagram and so much more!! Don't miss out!! Thanks for reading and always supporting me! Love you!